Diane Kenney walks in August on a trail she has used for years in the hillside by the Seven Oaks/Bill Creek subdivision. Access has been shut to the north and south of the subdivisions after expansion of the Two Shoes Ranch. Some neighbors of Two Creeks Ranch question the owners' concern for wildlife based on the 52-inch height of a fence on the perimeter. 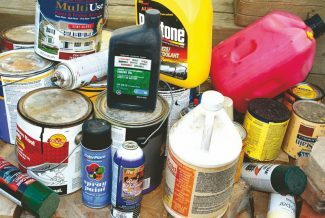 Wildlife officials consider 42 inches wildlife-friendly but exemptions are recognized for agricultural uses. Two Shoes representatives note the lowest strand allows fawns and elk calves to cross under. Two Shoes Ranch uses PVC pipe on the top strand of barbed wire fences in strategic places to allow big game to jump over. The features, called rollers, are recommended by Colorado Parks and Wildlife. 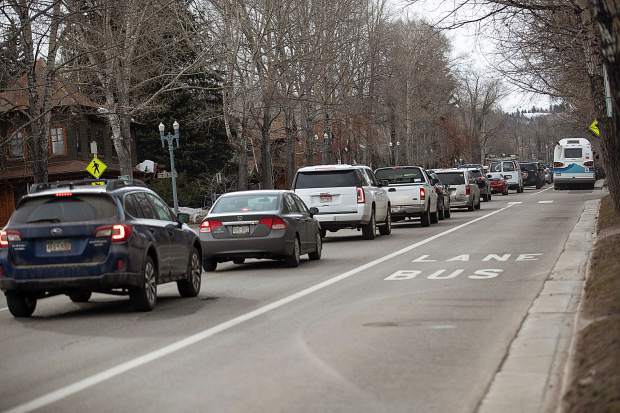 The Pitkin County Commissioners are holding a public meeting Wednesday to review the final plan for the proposed Carbondale-to-Crested Butte Trail section in the Crystal Valley. 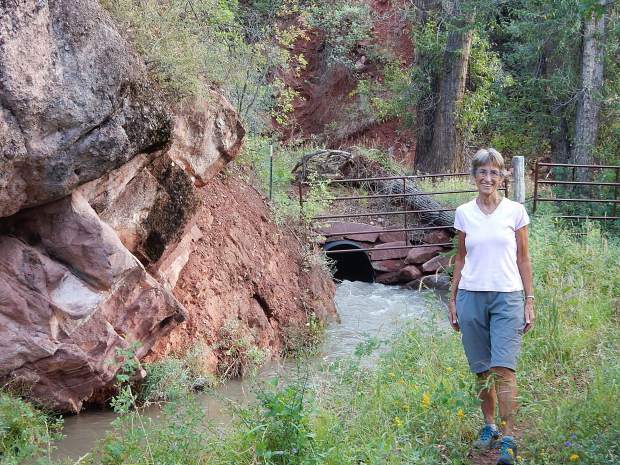 The Wexner family’s Two Shoes Ranch has played a key role over the past year trying to influence the Pitkin County commissioners’ vote on the proposed Carbondale-to-Crested Butte Trail. That has opened another can of worms in a debate that already is pitting neighbors against one another. A key meeting on the trail will be held in Carbondale on Wednesday. Ranch officials contend they are genuinely concerned about how construction of a trail in the Crystal Valley floor could spur exploration of untrammeled backcountry areas and creation of illegal, “bandit” trails into valuable wildlife habitat. Ranch manager Ian Carney, who was educated as a wildlife biologist and worked in the field for a time, has undertaken numerous wildlife-enhancement initiatives. The ranch is working with Yale University, for example, on using soil for carbon sequestration. “I don’t think there’s another ranch in the valley that has a wildlife biologist as manager,” Gideon Kaufman, an attorney for the Wexners and Two Shoes Ranch, said Monday. Critics, smarting from a land exchange approved by the Bureau of Land Management, contend the Wexners’ prime motivation in opposing the trail is the desire to fortify their seclusion and privacy on their 6,000-acre spread. If the Wexners are concerned about wildlife, they say, miles of fences on the ranch’s perimeter would be more accommodating for deer and elk. “It’s hard now for critters to get under, through or over,” said Franz Froelicher, who lives in a residential area near the BRB Campground, six miles south of Carbondale. Two Shoes Ranch borders the subdivision, and new fence was erected after the purchase of adjacent property. The Crystal Valley Caucus, conservationists and several homeowners in the area have voiced opposition in several public hearings and comment opportunities, mostly based on the trail’s perceived impacts on wildlife and also for invasion of private issues. Most want the trail constructed on the west side of the Crystal River, scrunched up against Highway 133 rather than on the east side of the river. Some don’t want a trail at all. But few trail foes have the resources of Leslie and Abigail Wexner to fight the project so thoroughly. They have hired experts, either on their own or with partners, to look at wildlife impacts, riparian issues and the county’s construction cost estimates. Kaufman attends every public meeting on behalf of Two Shoes Ranch. Leslie Wexner is the founder and chairman of Limited Inc., an apparel retailer based in Ohio. 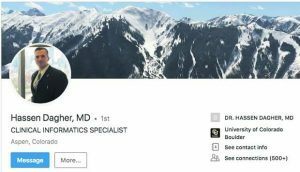 He and his wife have a longtime connection to Aspen, and in 2002 they bought 2,491 acres of the Turnbull Ranch outside of Carbondale for $18 million. That sparked a buying binge in the area over the next 12 years. They have since assembled a total of about 4,700 acres of private land. In June 2014, the BLM approved a land swap that gave the Wexners 1,268 acres in the middle of their holdings near the base of Mount Sopris. In exchange, the Wexners gave the public the 557-acre Sutey Ranch and a 112-acre parcel along Prince Creek Road. All told, the Wexners now have about 6,000 acres. Kenny and Froelicher are among a contingent of residents who feel Two Shoes Ranch hasn’t been a good neighbor. Informal trails that have been used for years along an old road grade and an irrigation ditch have been fenced off, posted with no trespassing signs and put under surveillance by security cameras. Kenny has walked the routes, which extend north and south of the subdivision, for years and believes the fencing has driven away wildlife. Froelicher concurred in a separate interview. “As far as I can tell it’s just a wildlife barrier,” Froelicher said. “They don’t need 50 inches to prevent a cow from jumping over. The Wexners’ team views it differently. 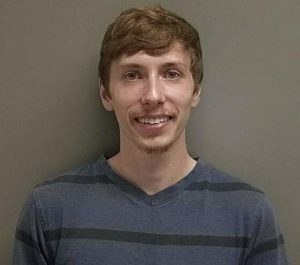 Kaufman said some people have refused to honor private property and continued to walk their dogs into wildlife habitat at sensitive times. Unknown trespassers damaged a gate, and people were intentionally leaving dog-feces bags in trees beside the no trespassing signs as an obvious message, he said. For every neighbor with a gripe, Kaufman said, there is one if not more who will vouch for the neighborliness of Two Shoes. He supplied a list of people. One of those people, T. Michael Manchester, a former resident of the Prince Creek subdivision, confirmed the ranch folks were good neighbors. The biggest point of contention for Carney and Kaufman is the claim that the ranch is not wildlife-friendly. “A premise that privacy as opposed to wildlife concerns is at the heart of the Two Shoes opposition to the Crystal Valley Trail is unfounded,” Kaufman said. About 3,000 acres of the ranch is covered by conservation easements, most of which are held by Aspen Valley Land Trust. Some of the conservation easements came with property the Wexners purchased; the family voluntarily provided the others at no cost to the public. The prohibition of development and limited use of the southwestern section of the ranch will benefit a Crystal Valley bighorn sheep herd that is struggling to survive, Carney said. In addition, “several miles” of old fence became unnecessary and was ripped out from interior sections of the ranch as it was assembled, Carney said. However, it remains a working ranch where Carney and Matt Turnbull run cattle. “The three-strand, 42-inch fence doesn’t really work,” Kaufman said, referring to the recommended fence by Colorado Parks and Wildlife. Bulls on the ranch are hemmed in by higher fence with more strands. CPW acknowledges higher, stronger fence is sometimes necessary. 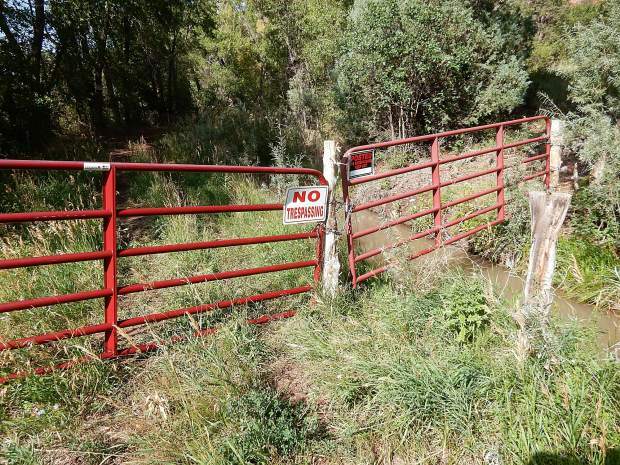 Pitkin County grants an agricultural exemption for six-foot high fences. 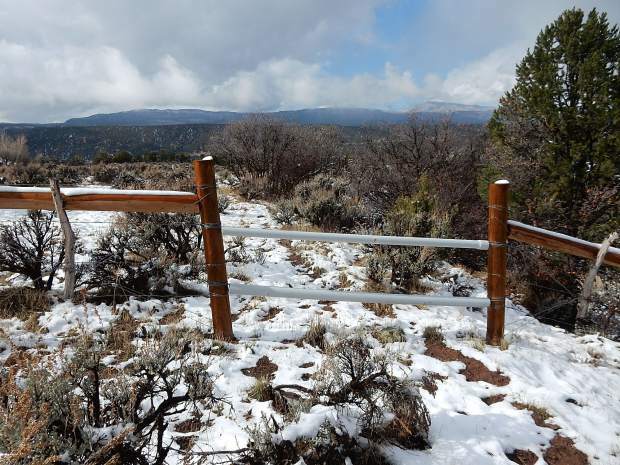 On a hike with Kenny, an Aspen Times reporter saw a 52-inch, four-strand fence on the Two Shoes Ranch north of BRB. Carney said higher fence is necessary throughout the perimeter of the ranch to prevent cattle from busting out to neighboring areas. He contends the fence is still wildlife-friendly because the lowest strand was high enough off the ground to allow fawns or elk calves to pass beneath. Jonathan Lowsky, a longtime, independent wildlife biologist who consults in the valley, works with Two Shoes on various issues. 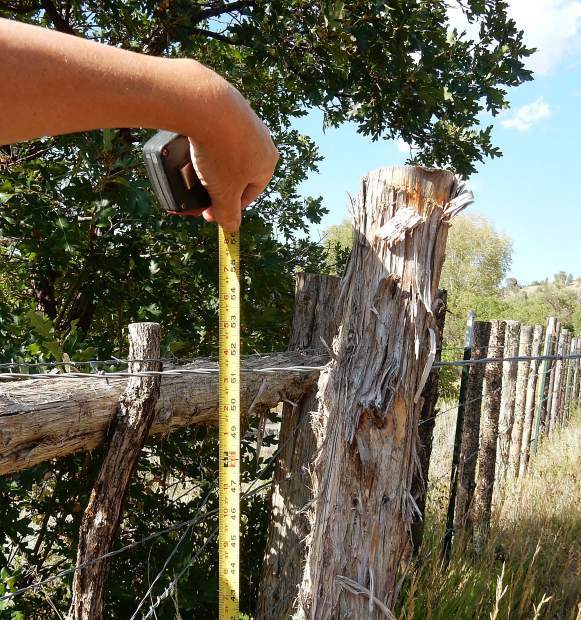 He said their fencing is wildlife-friendly because the lowest strand is either 18 inches off the ground or there is an adequate gap between the first and second strands, as recommended by the Colorado Division of Wildlife. On a tour of a section of the ranch off Prince Creek Road, Carney showed how PVC pipe is placed on the top strand of wire in strategic places known to have big-game activity. The white pipe, called a roller, is easier for deer and elk to see and a jumping animal’s legs won’t get caught in it. He estimated there are about 50 rollers around the ranch, plus gates that are purposely left open and strands of wire pinched together to create a wider opening for game passage. Beyond fencing, Carney said Two Shoes has worked with Colorado Parks and Wildlife on numerous wildlife projects — a study on bat travel, relocation of wild turkey off the ranch to other sites, and efforts to improve habitat for bighorns. Two Shoes will fund and provide housing for workers from CPW on a 2019 Elk Migration study. No commercial hunting is allowed via outfitters. “I would say [they are] wildlife-friendly or interested in wildlife,” he said. Kaufman said Two Shoes will continue to make a strong case against a Crystal Valley trail on the east side of the river, along with other parties. There are only four drainages between Carbondale and Redstone without trails. If a trail gets built on the east side of the river, he contended, it will lead to intrusion into those remaining habitats. “It’s the bandit trails that result,” he said.